With an ever-growing aging population, learning how to age in healthy and safe ways has never been so important. 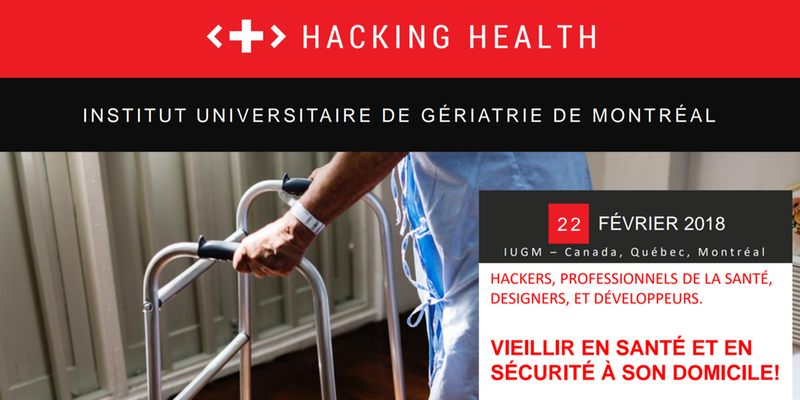 Join us on February 22nd at the Centre de Recherche de l’Institut Universitaire de Gériatrie de Montreal to get insights on how different technology and healthcare solutions can help us age in the best way possible, in the comfort of our homes. Whether it’s your mother, father, uncle, aunt, friend, or even yourself, aging affects us all – so come join the discussion! David Bertrand, CEO of HOSPITALIS, leader of TechnoMontreal initiative on aging. We thank our partners of the Centre de recherche de l’Institut de gériatrie de Montréal! Please register on the Eventbrite link below.